GTHL Awards season is here. To celebrate, we will be profiling each of the 12 award winners individually leading up to the ceremony on June 16. The number 29 has been a magical one for goaltender Justin Lee. 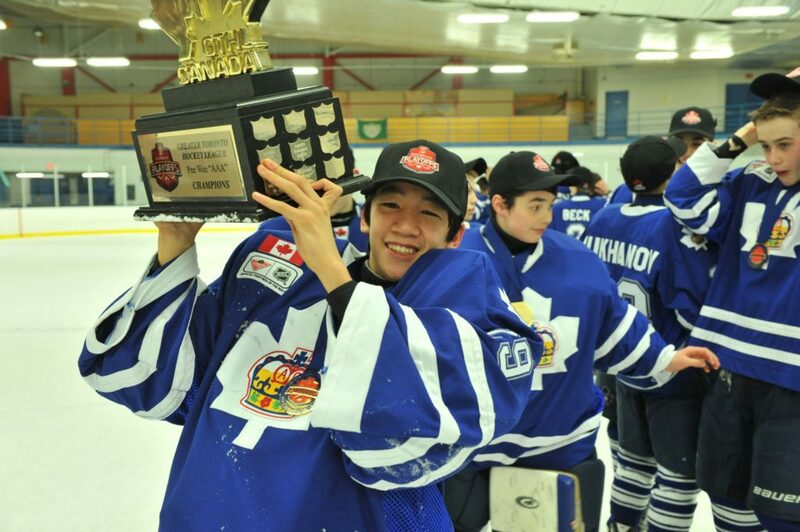 Sporting the same jersey number as his idol Marc-Andre Fleury, Lee, much like his hockey hero, has raised trophies, posed in championship photos, and made game-saving stops in his seven-year long competitive GTHL career. Starting off between the pipes with the North York Knights at 5-years-old, Lee took to the position quickly, playing two years of Novice with the Vaughan Rangers before starting his Minor Atom career with the Toronto Marlboros – five of which were spent under the guidance of coach Louie Gialedakis. Although Lee found much success in his six seasons with the Marlboros, he credits the 2016-17 season with the Mississauga Rebels as being his most memorable to date. After losing out on the Kraft Cup, the Rebels managed to win a Scotiabank GTHL Playoff title in addition to their early season successes at the Titan Tournament and Marlboros Winter Classic. Lee will be honoured with the Gord Hughes Minor Midget “AAA” Scholarship Award on June 16. The Award recognizes a Minor Midget “AAA” player who achieves a high standard of excellence academically and in hockey.